Let's cut to the chase - you're here because you want a Black Friday deal. Well, you have come to the right place! We've got manufacturer's promotions, a flash sale and in-stock specials happening so follow the guide below to learn more. Custom Order List - these offers are available on custom orders. Check with your sales associate for production times! "Oh wow. Your prices are lower than [insert competitor here]." 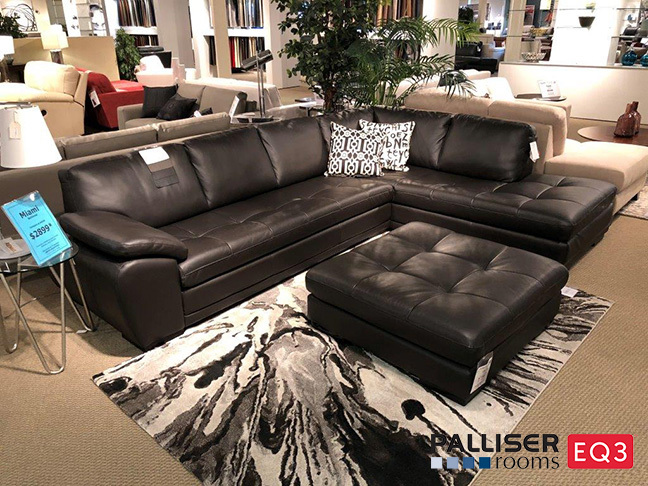 We hear that phrase all the time from our customers because our regular prices are lower than our competitors' sale prices. Which begs the question, why? Are you getting less value? The answer is: absolutely not. In many cases, you are getting more. We carry much of the same product, from many of the same vendors. We get the same manufacturer's promotions offered to us to pass along to you. The difference is that we don't inflate our prices just to say "30% OFF". We simply sell quality furniture made by highly-skilled craftspeople at a price that is fair. We have been doing business this way since we opened in 2002. Our exceptional service is just that, exceptional. From the "just looking" stage to the "we need new furniture because we gave our set to our child who just moved out" stage, we are here to help. We often refer to our sales associates as design consultants because they have so much experience helping people create spaces that feel like home. 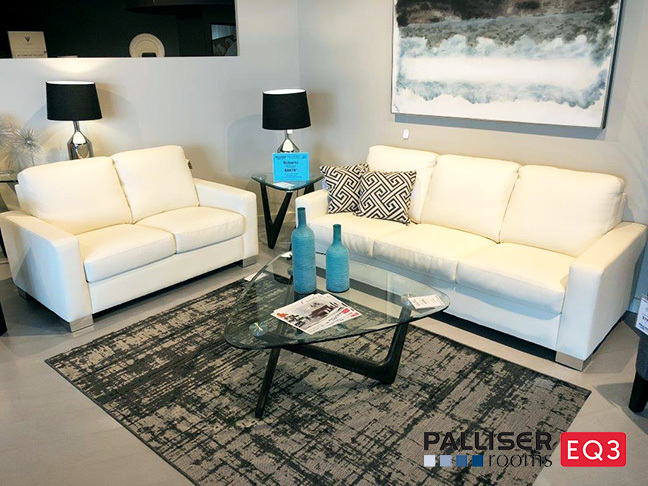 We provide a no-pressure atmosphere so you can enjoy our gorgeous showroom without any worries and if you have any questions, we are happy to provide the answers. 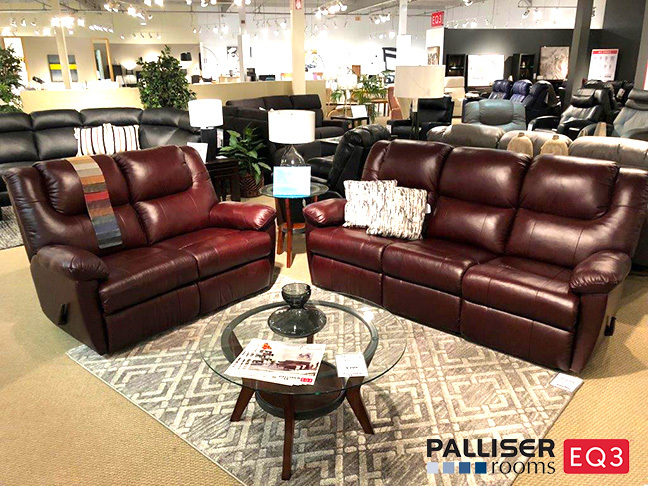 A common misconception is that we are part of a larger company, Palliser Furniture, but in reality, we are locally owned and operated. We are an independent retailer who happens to have two brand names in our store name. 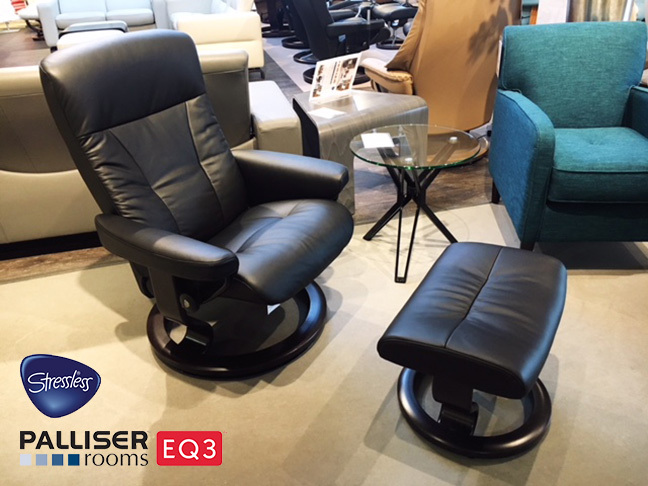 As the largest Palliser dealer in the province of Saskatchewan and the only EQ3 Gallery in the city of Saskatoon, we have earned the right to call ourselves Palliser Rooms / EQ3. See for yourself today at 2125 Faithfull Avenue in Saskatoon. There are two exciting offers from EQ3 right now! 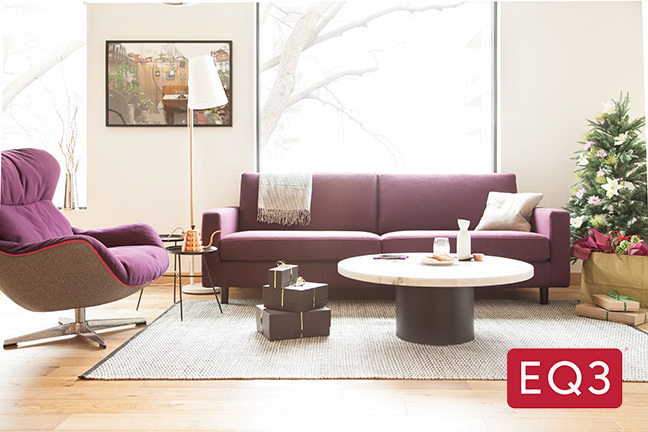 Save 15% on living room furniture: This includes EQ3 custom order sofas, loveseats, sectionals and chairs. As well as coffee tables, end tables and media consoles! 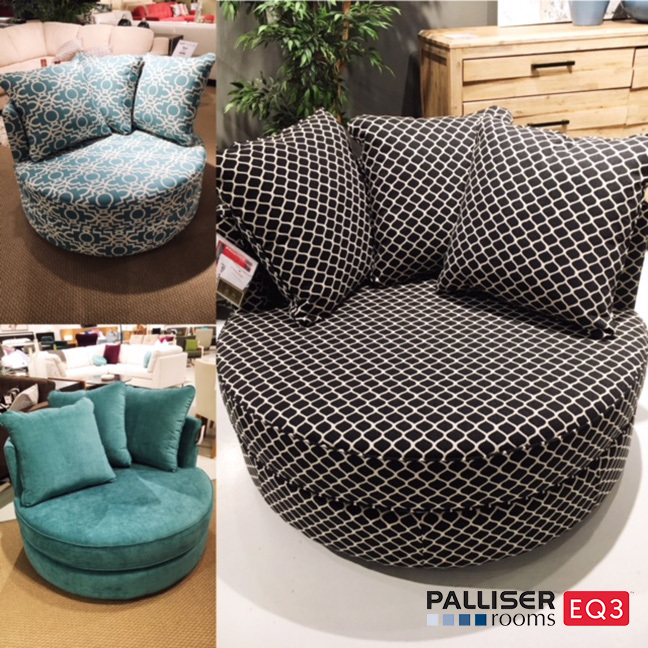 Get 20% off all Polo fabric custom upholstery orders (excluding upholstered beds). Polo fabric is made of 100% polyester. 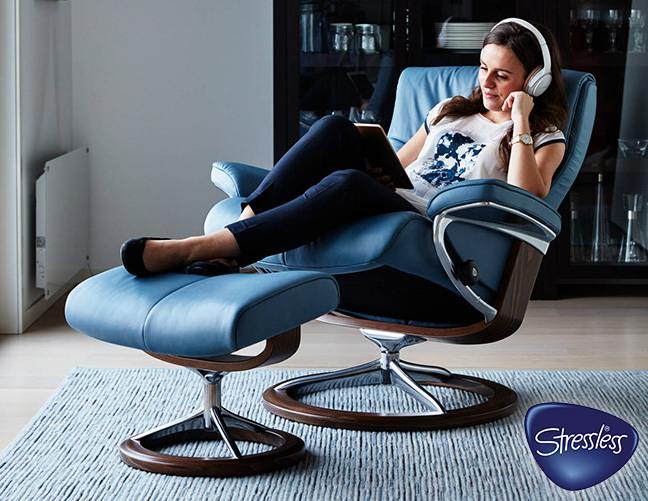 It is easy to clean and comes in many fashionable colours. These offers are valid until November 5th, 2017. Some restrictions apply so be sure to ask a Sales Associate for details. Keeping in mind these savings, have a peek at the NEW EQ3 Lookbook! 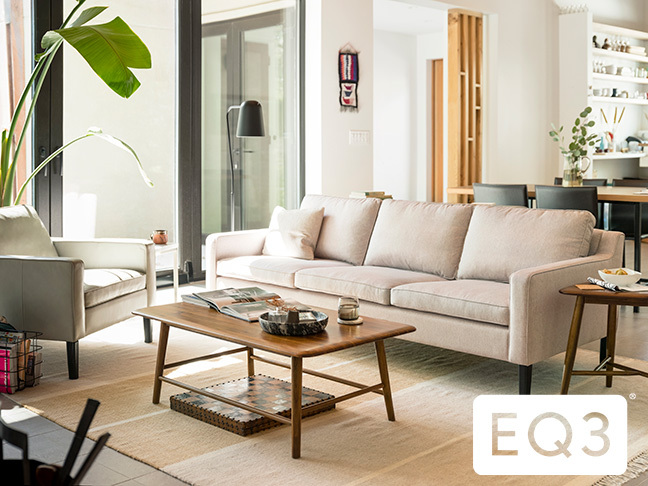 Marked by gorgeous, natural colour palettes and elegant, contemporary styles, the new EQ3 lookbook evokes a sense of stylish calm and serenity. Just the thing we need in this chaotic world. Click HERE to view the Lookbook online. Visit our EQ3 Gallery today at 2125 Faithfull Avenue in Saskatoon! The Bermex Event is back at Palliser Rooms / EQ3! 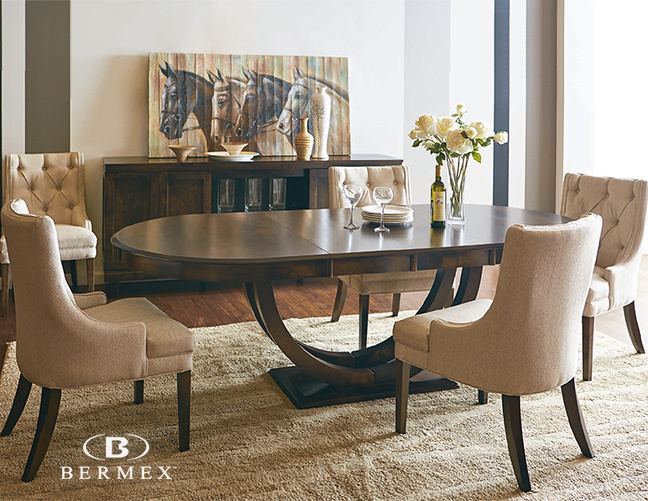 Until October 14th, 2017, you get an additional 10% off all custom Bermex dining furniture! 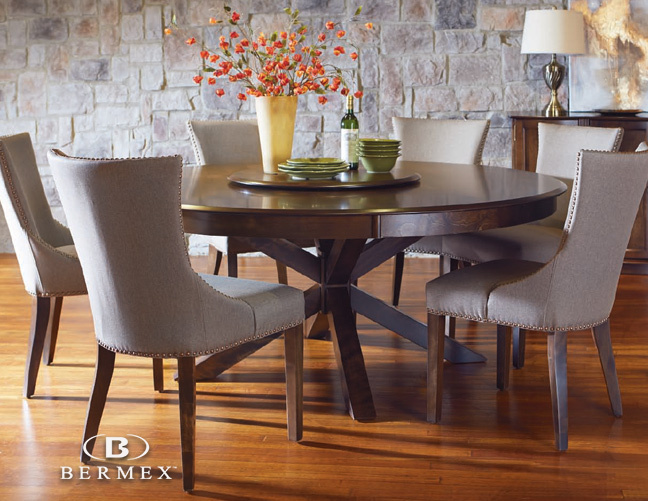 Bermex is a Canadian company dedicated to building gorgeous, custom, solid wood dining furniture. They are constantly creating beautiful new designs and always raising the bar when it comes to quality and craftsmanship. 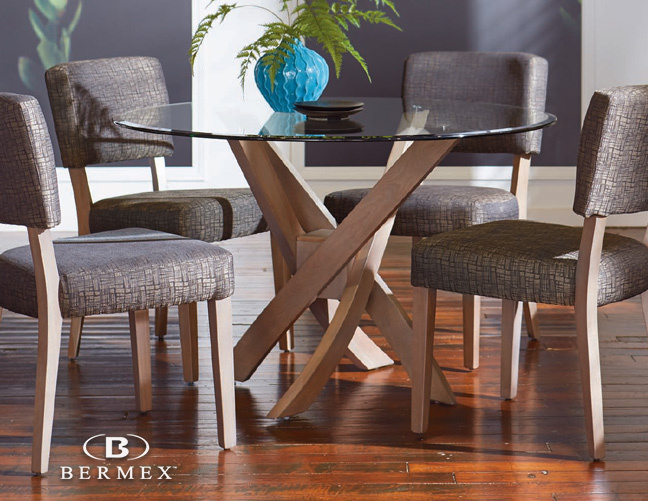 With Bermex, you get the dining table and chairs you have been dreaming of thanks to their wide range of table shapes and sizes, as well as their many finishes and colour options. With our knowledgeable design consultants, the process is made easy and enjoyable. 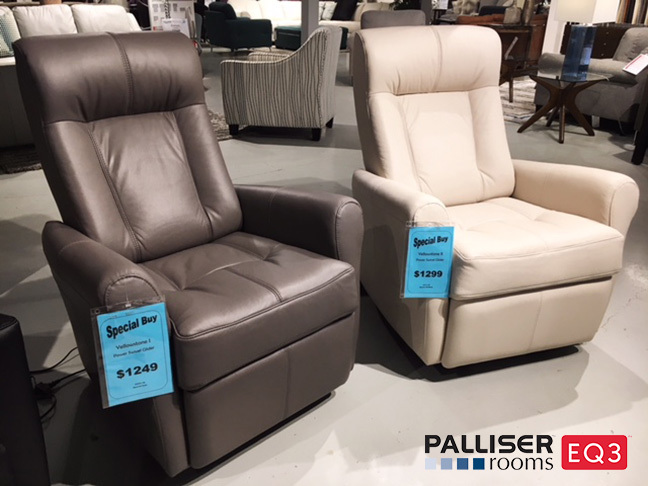 View some of the new Bermex styles below and visit our stunning Bermex Gallery in-store today at 2125 Faithfull Avenue in Saskatoon!